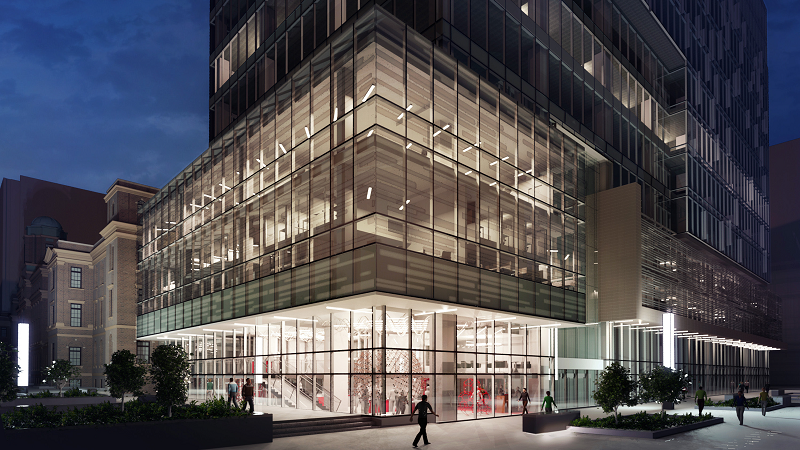 This January we completed phase 1 of Autodesk’s landing at MaRS Discovery District. In November 2015, Autodesk announced the news of occupying the second and third floors of MaRS West Tower, in addition to the street-level space at the northwest corner of the building that will be transformed into an event space and sandbox for community engagement in shaping the future of making things. MaRS Discovery is part of a rich innovation ecosystem referred to as Toronto-Waterloo corridor cultivating high-impact innovation in areas such as Clean Tech, ICT, Health and Advance Manufacturing. Phase 2 of MaRS landing will bring Autodesk’s storefront space to life this spring with construction currently under way. Phase 3 of landing involves the second floor of office space that will be completed this summer. Designed by the Living, an Autodesk Studio, Autodesk’s new office in Toronto is the first generatively-designed office space in the world envisioned as a living lab exploring the future of work. Drawing inspiration from Toronto’s reputation as a city of neighborhoods and the most diverse city in the world, Autodesk’s office is designed as a series of interconnected neighborhoods accommodating very diverse and multi-faceted teams with different projects, workstyles, and requirements. The new office layout is organized like a city with a network of major and minor “streets” with public and private spaces organized according to residents. Generative Design was an integral part of the design workflow helping a team of stakeholders, i.e. MaRS Mission Team, to incorporate a large amount of inputs, navigate trade-offs based on real data, optimize for specific criteria, and offer transparency about project assumptions and offerings. Various aspects of the project were also featured at Autodesk University 2016 in Las Vegas. As the project moves closer to full completion we will have more information to share about our grand opening. Stay tuned! To learn more about the project and our presence at MaRS Discovery, please contact Ramtin Attar.